Blockchain, technology migration, fund managers vs. HFTs, and the marriage of social and trading dominated our favorite fintech headlines in February. With the International Blockchain and Fintank CryptoCon conferences kicking off in February, we’re seeing more in-depth conversations surrounding bitcoin, blockchain, and distributed ledger technologies from futures industry leaders and technologists. TD Ameritrade is blending tweeting and trading into a single customer experience. Since many TD Ameritrade customers are active Twitter users, the Twitter trading bot is an engagement tool that helps the company understand customer behavior patterns, data that can be used for personalized experiences and recommendations. The Innovation and Development Foundation (IDF) presented the International Blockchain Congress at mHub on February 9 and it was a bit like taking a train trip on Amtrak; it started late, got a little bit later at each stop along the way, and somehow still managed to be rewarding at the same time. The event highlighted how many exciting projects and developments are taking place with blockchain, the dynamic international community that is propelling progress, and just how hard it still is to separate the gold from pyrite at this point. John Lothian News’ Jim Kharouf sat down with Bob Fitzsimmons, Managing Director and head of Wedbush Futures, owner of eFutures, at the recent Fintank CryptoCon event to talk about just how well the separate contracts are doing, who is trading them and who wants to get on board. Jim Kharouf talks crypto from a market standpoint, pointing out the challenges and opportunities that lie in this unique space that resides between the wild, wild, west and an infrastructure project that is months, maybe a few years, from becoming a fully integrated asset class. And from the vantage of someone in the crypto space, Wall Street, LaSalle Street and every other mainstream financial industry will eventually be pulled in, passed up, or circumvented by it. In this post, Jim highlights key messages taken from Chicago’s recent CryptoCon event. Mutual-fund and asset managers trying to get the best price on a stock purchase or sale face a challenge when HFTs deploy sophisticated pattern-recognition software in search of order-flow information that they can use to their advantage. When an asset manager unintentionally leaves footprints that tip its hand to these HFTs, the price is often impacted to the detriment of the asset manager. This article covers the powerful weapon that asset managers can use against HFTs that exploit order. Members of the NASDAQ Market Technology team discuss the success of a large technology migration of replacing legacy trading systems as well as the essential components of having clearly defined goals, speed, and leadership that were integral to the success of this migration. 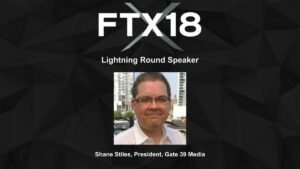 We’re excited to be a Lightning Round presenter at FinTech Exchange Chicago where we will share our knowledge, discuss trends, and share our solutions. See you there!